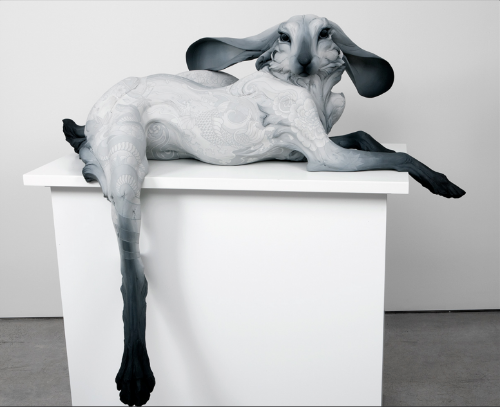 It was more than a thrill to see Beth Cavener in person. To see her work in progress, to hear her heartfelt descriptions of her art (in particular, the portraits), and to experience her honest dialog of balancing being an artist and mother. Her art moved me, she moved me. The top photo is my daughter watching Beth Cavener's Sculpture Demo at the University of Alaska Fairbanks Art Department. The second is “L’Amante.” What a winter's treat to have such a true artist in our far north city of Fairbanks. Thanks for coming and inspiring us Beth.